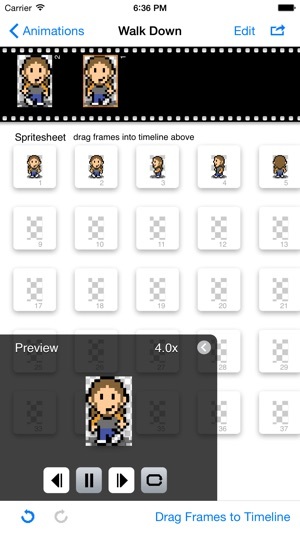 Sprite Something is a drawing, animation and tilemap application for pixel artists and game developers. 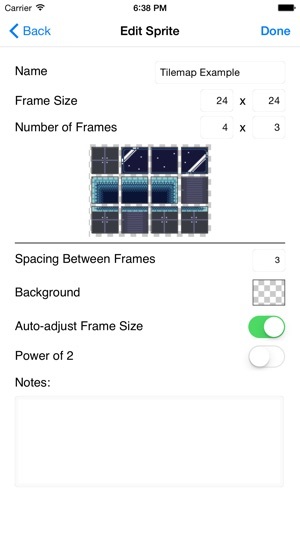 Draw multiple frames individually, then quickly drag and drop frames into an animation, or use your frames to draw tilemaps for your game levels. 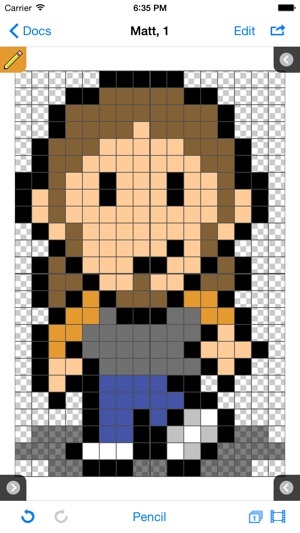 Export your creations to PNG, animated GIF's and CSV files (tilemaps). For documentation, visit http://terriblegames.com/spriteSomething to download the Sprite Something Manual. Sprite Something is also now available on the Mac App Store. 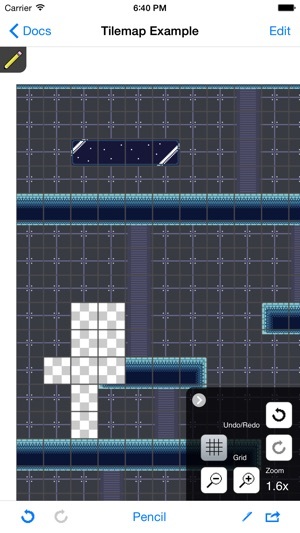 Drawing supports PNG files up to 1024x1024, tilemaps up to 200x200. Follow @mattfox12 on Twitter for latest news. Sprite Something is also available on the Mac App Store. Die beste Lösung um unterwegs schnell was zu Pixeln. Für mich seit langem der beste Pixel-Editor für iPhone und iPad! 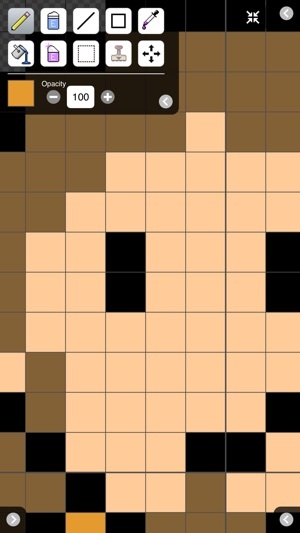 Das beste Programm zum Pixeln auf dem iPhone!